Ah, the Friday after Thanksgiving... lucky for me I have the day off, and no shopping to do (all my Christmas gifts come from the bookstore), and can bask in the indolence of it all. It's a good day to catch up a little and think ahead a little, and some of the best-of lists have made me want to take a look at my own reading for the year. The New York Times has done a clever thing: in addition to their usual "official" lists of the Top 100 and the Top 10 Books of 2008, they 've had their regular book reviewers pick their favorite books of the year. Michiko Kakutani and Janet Maslin both list their own personal top 10 here -- the only thing I wish is that they'd talk about why they loved these, rather than just including clips from their Times review. 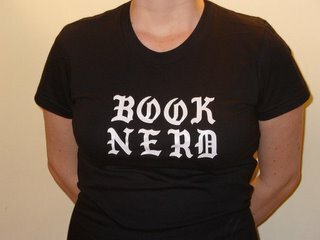 I recently took a look at various lists of my own reading (our store staff picks, my little notebook, my Goodreads page, etc.) and compiled them, and somehow I seem to have read over 75 books so far this year. And I think this might have missed some that I forgot to write down. * (This counts trade editions of comics, though not individual issues -- so if you feel strongly that comics aren't books, for you the list is shorter.) They're not all newly published, though most are. I've been trying to figure out how to talk about my reading, in a way that would be fun for me and useful for recommendations. Reviews of every book? Just the top 10? How could I possibly choose? So to start out, here's the list of my reading for this year -- in alphabetical order, not reading order. (The Favorites are highlighted, just for a sneak peak -- if the numbers don't seem like they work out, don't worry, all will be explained.) Enjoy, and happy reading! * note: I have edited this list since I originally posted it, adding some books I read but forgot to write down, so the total is now over 75.